Playing an instrument teaches kids to persevere through hours, months, and sometimes years of practice before they reach specific goals, such as performing with a band or memorizing a solo piece. 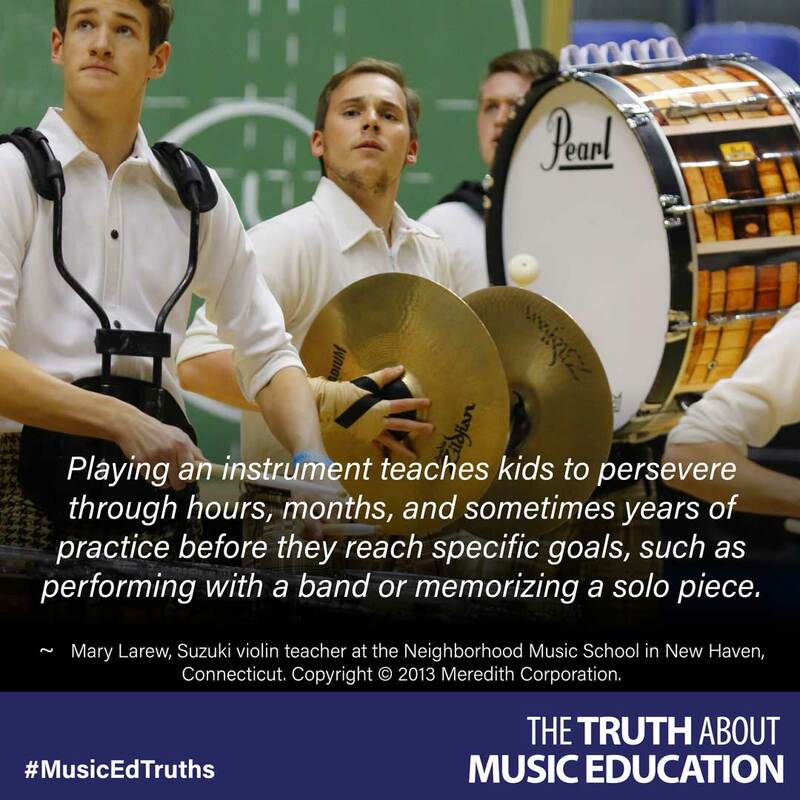 ~ Mary Larew, Suzuki violin teacher at the Neighborhood Music School in New Haven, Connecticut. Copyright © 2013 Meredith Corporation.